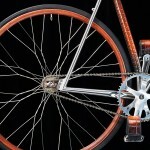 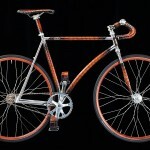 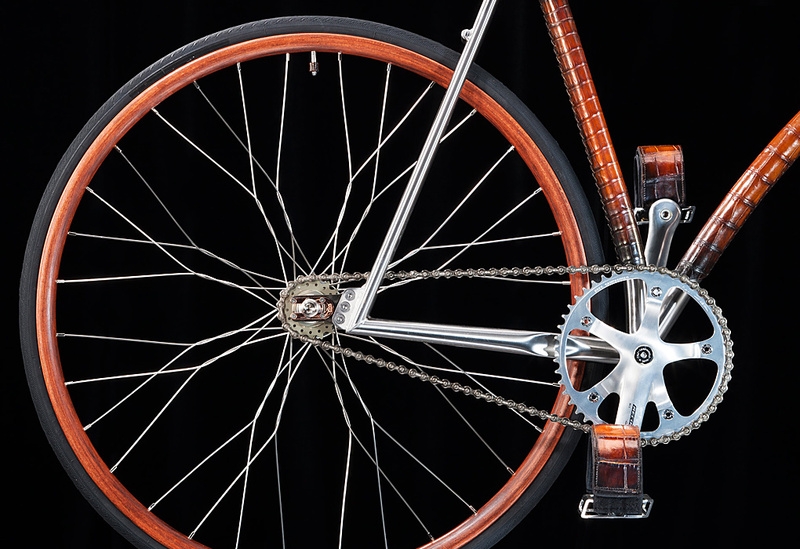 It took 120 hours to create this bike. 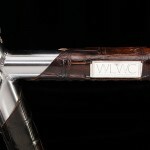 The frame has been made and customized by the LDG workshops in California. 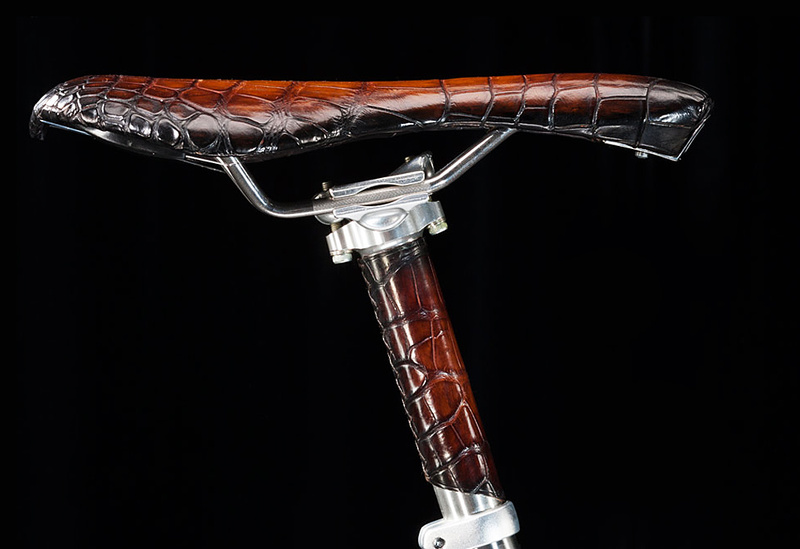 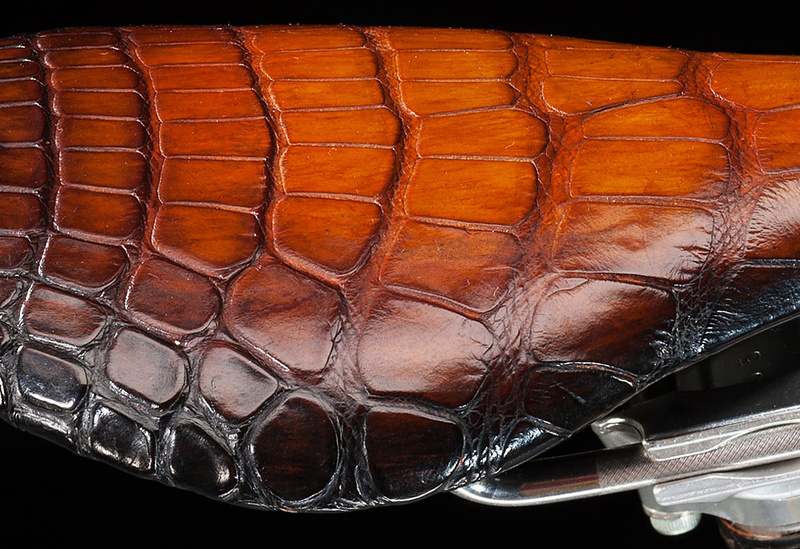 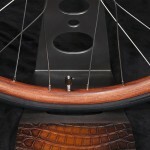 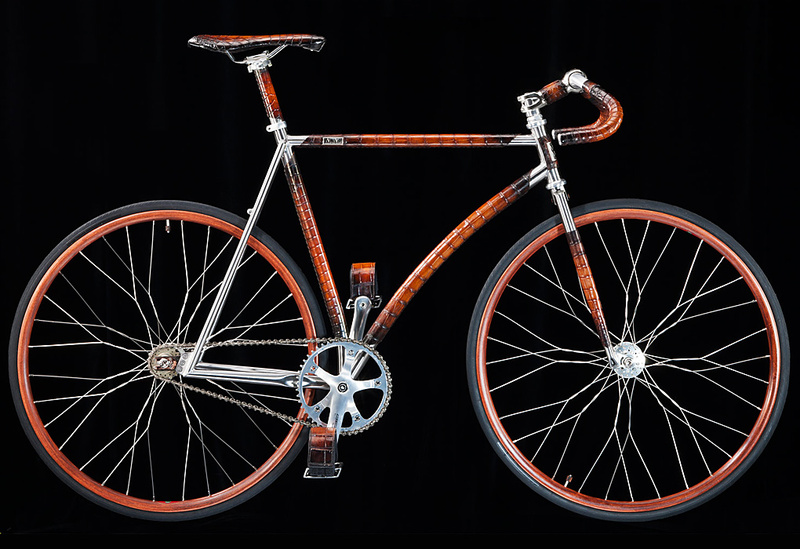 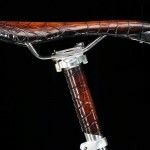 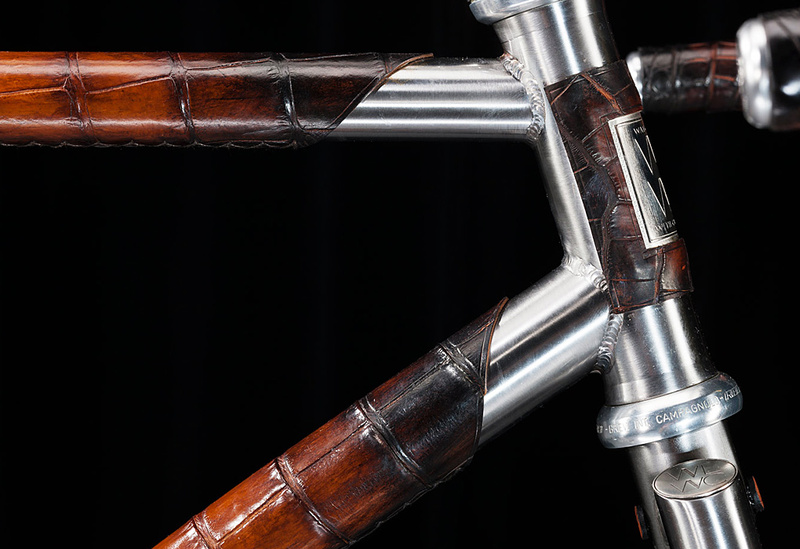 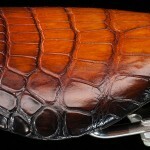 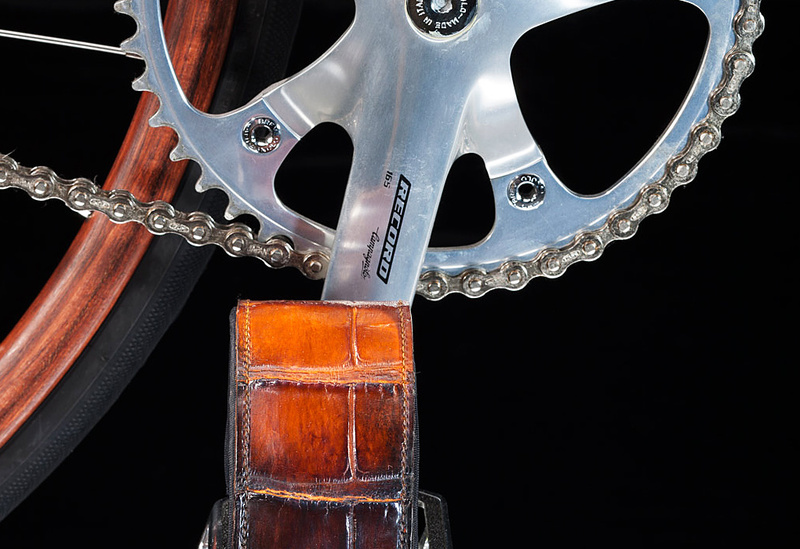 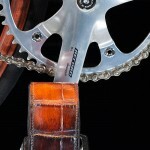 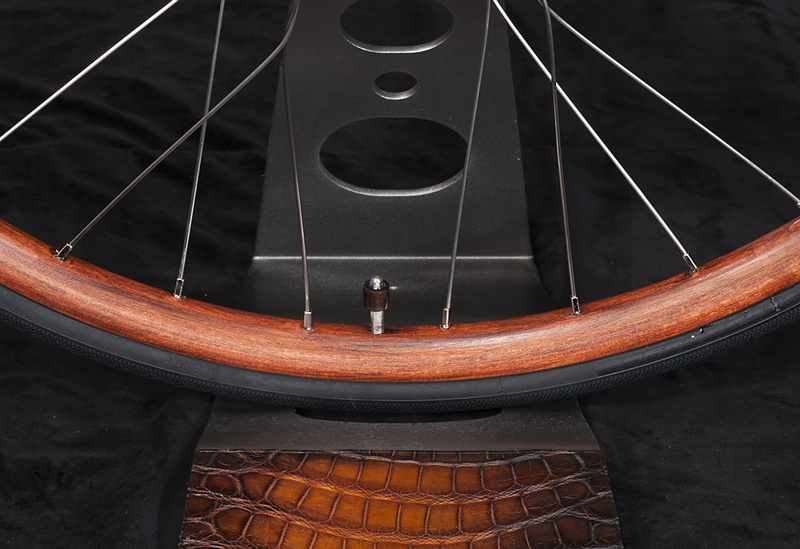 4 crocodile skins of 8 to 10 years of age have been used by the young leather goods manufacturer Jeremy Kastelani to cover the frame, fork, saddle, seatpost, handlebars and toe-clips. 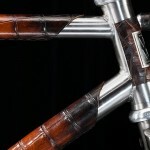 3 meters of crocodile tape have been made for the handlebars. 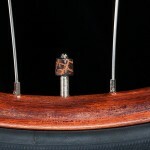 Even the valve caps and hubs have been covered. 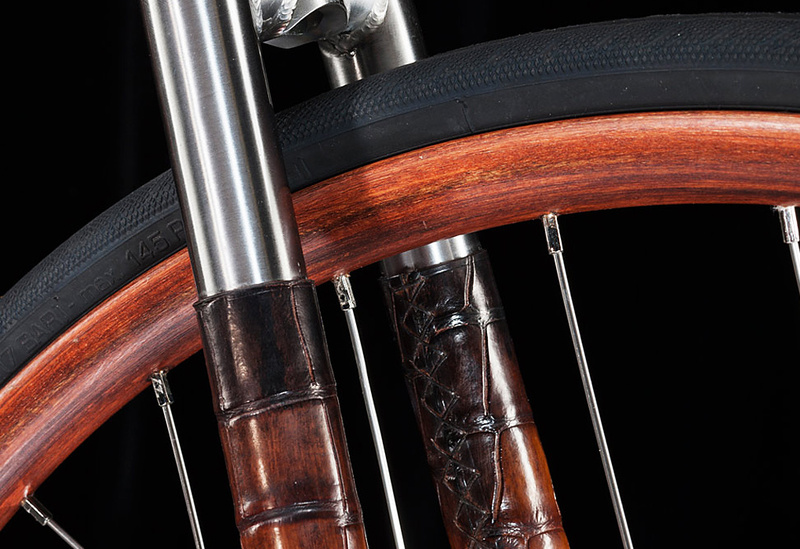 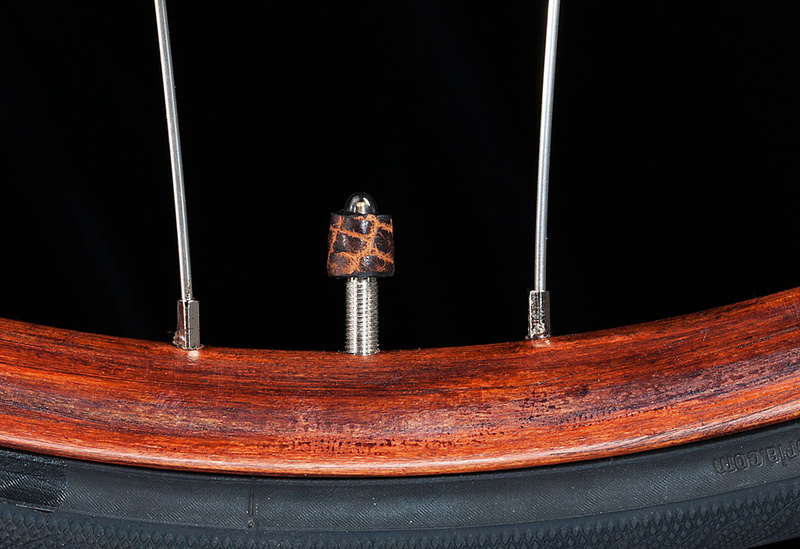 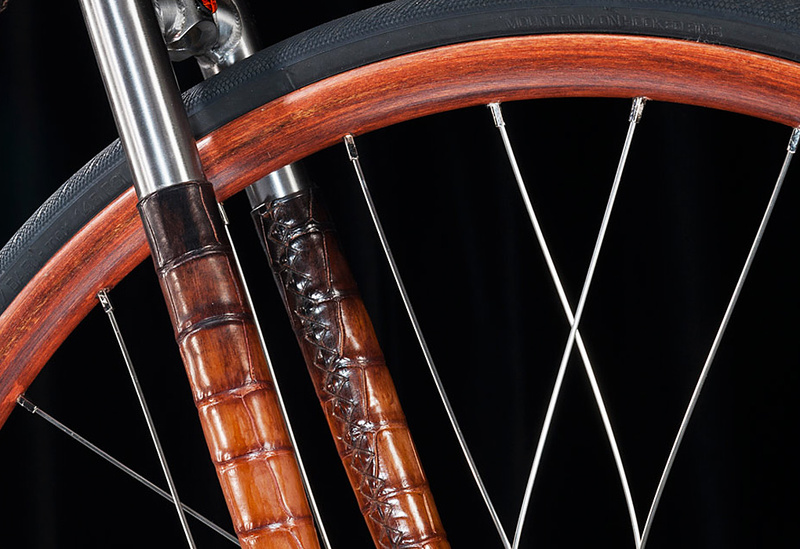 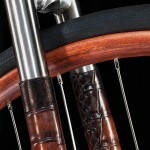 Rims in wood and carbon made by the Italian Ghisallo workshops. 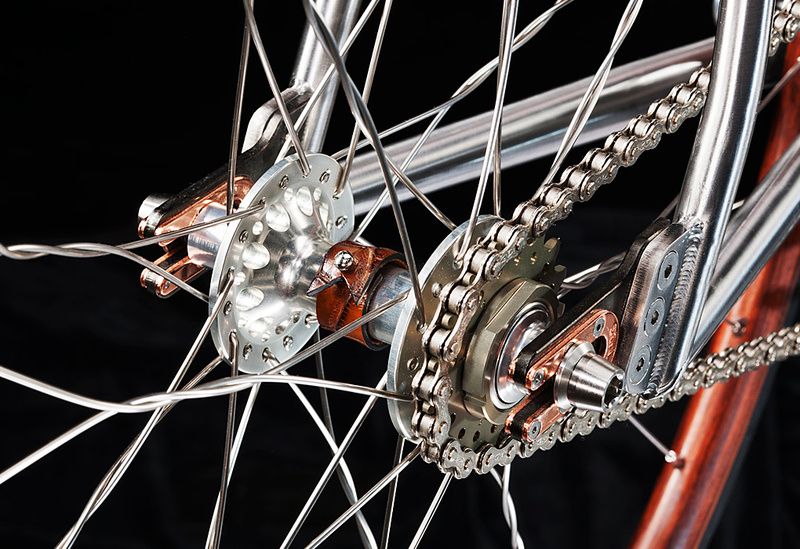 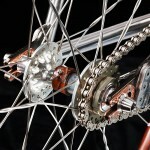 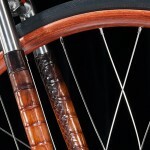 Handcrafted wheel spokes made by the specialist Julien Leyreloup. 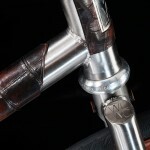 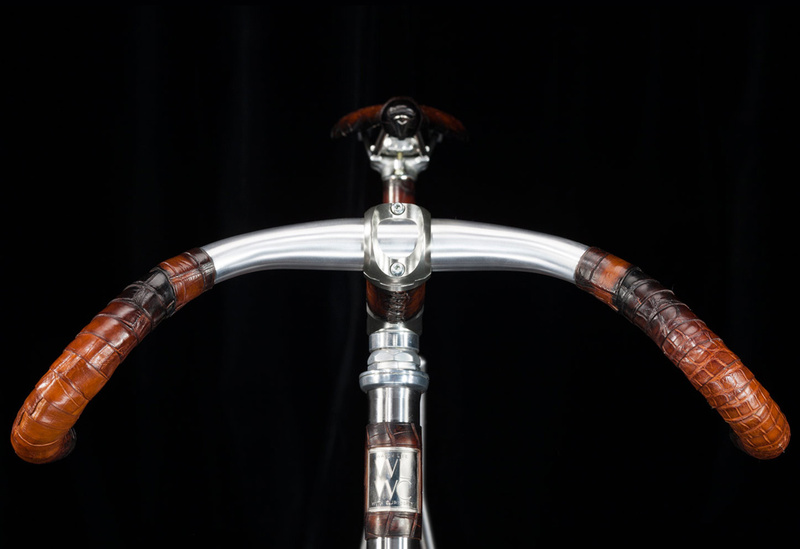 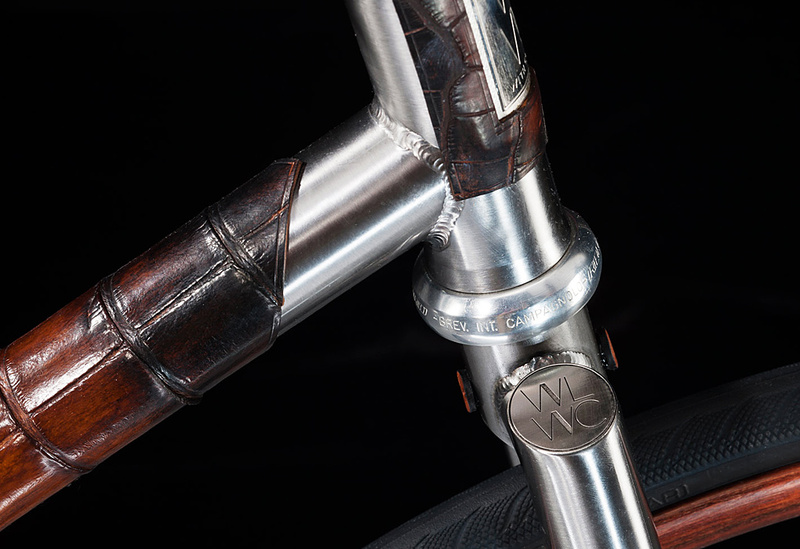 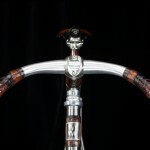 Vintage handlebars restored by the parisian GUILLOT workshop. 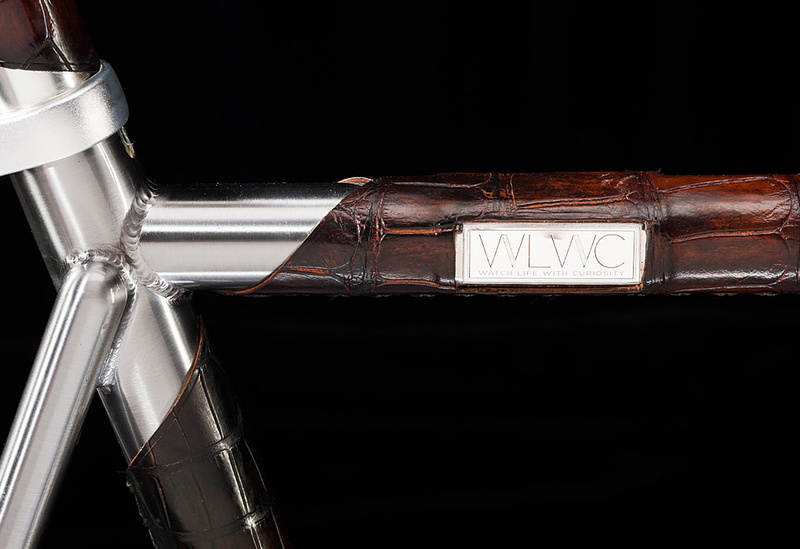 Perforated Hubs by Victoire, Crank by Campagnolo Record, Pedals by Shindelhauer, Seatpost and Stem by Thomson.